An internal gravity rainwater drainage system typically comprises of items such as roof gutters, rainwater outlets and internal rainwater pipework. 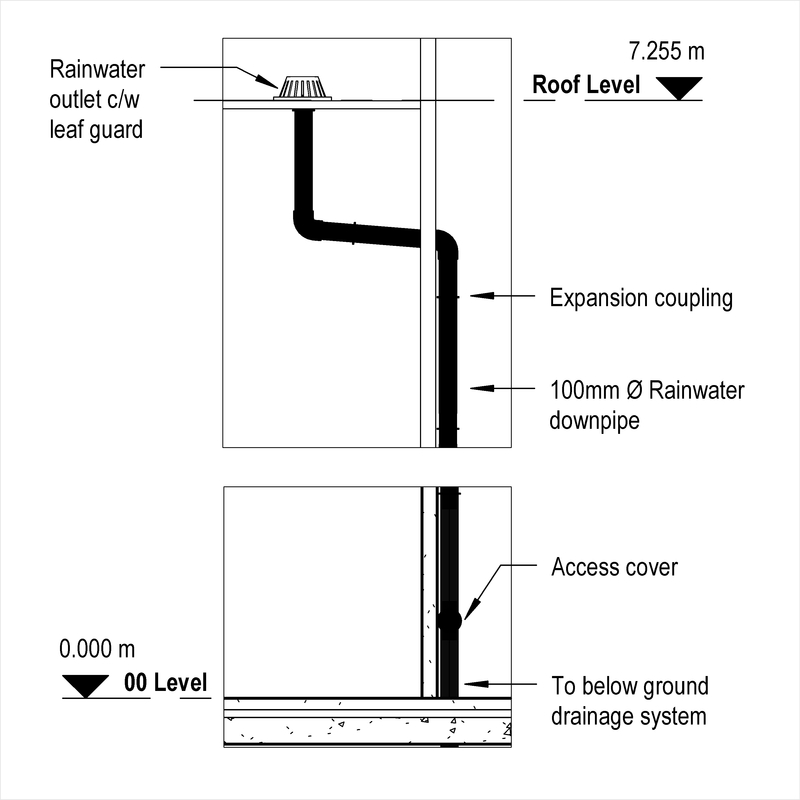 Complete this electronic spreadsheet to ensure that your Internal gravity rainwater drainage systems product information meets the requirements of Level 2 BIM. This is important as it will enable your customers to select, specify and use your products within the BIM environment. Once you have completed this template you can host it on your own website or distribute it to your customers. Please note that we do not host completed product data templates within the BIM Toolkit. 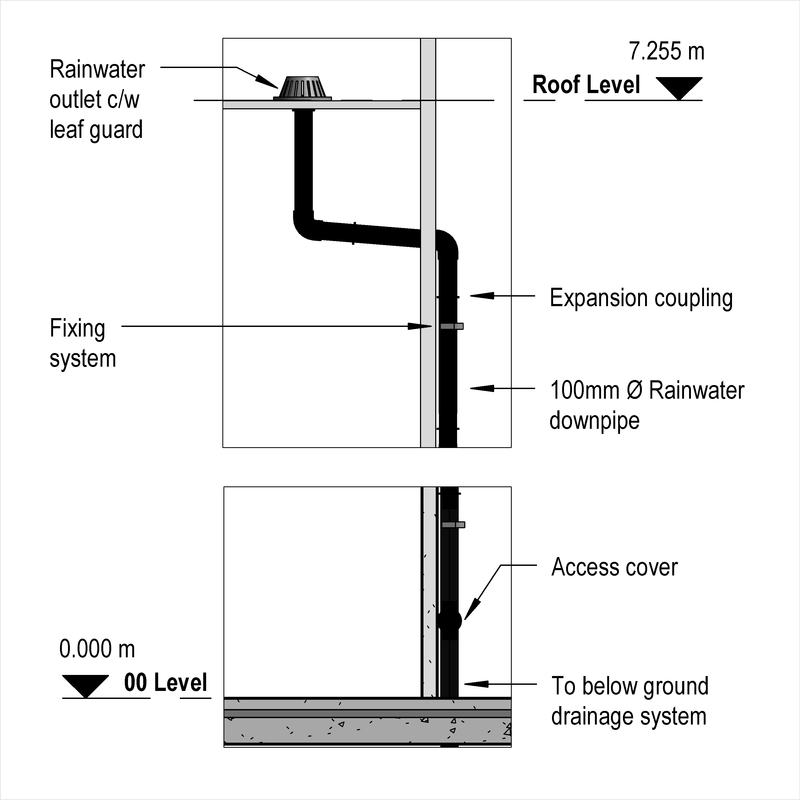 The above illustrations are for External gravity rainwater drainage systems from the NBS section Above ground rainwater drainage systems. This is indicative of the LOD requirements for Internal gravity rainwater drainage systems. System manufacturer The System manufacturer of the Internal gravity rainwater drainage systems. Roof gutters - Gutters - Gutter types Products such as Aluminium composite boundary wall or valley gutters. Roof gutters - Gutters - Jointing Products such as Nylon gutter bolts. Roof gutters - Gutters - Electrical continuity The Roof gutters - Gutters - Electrical continuity of the Internal gravity rainwater drainage systems. Roof gutters - Gutters - Insulation Products such as Mineral wool duct slab insulation. Roof gutters - Supports - Brackets Products such as Roof gutter brackets. Roof gutters - Supports - Fixings Products such as Stainless steel hexagon headed nuts and bolts. 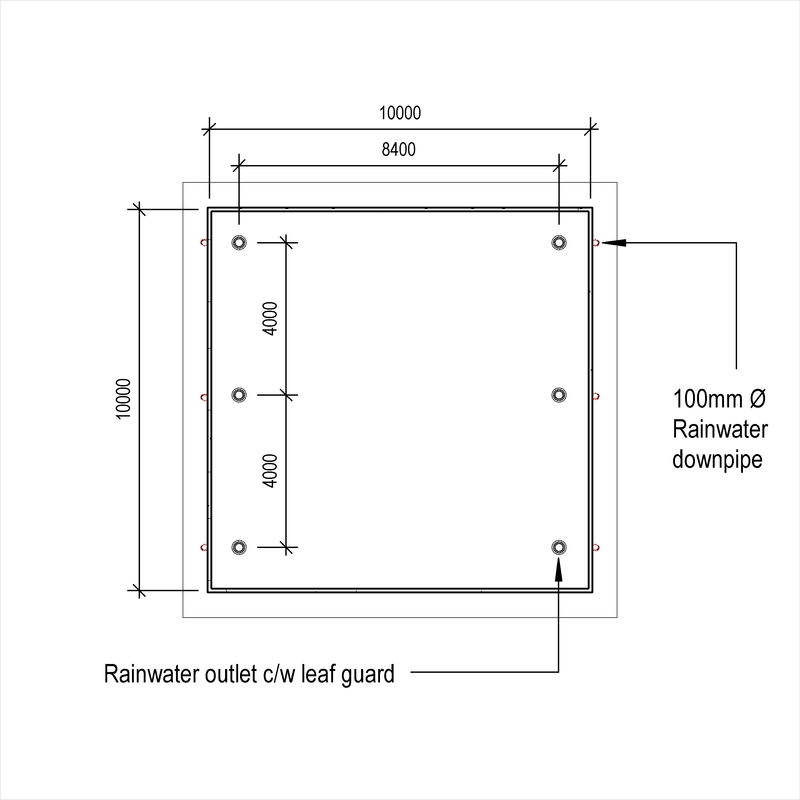 Rainwater outlets Products such as Gravity rainwater outlets. 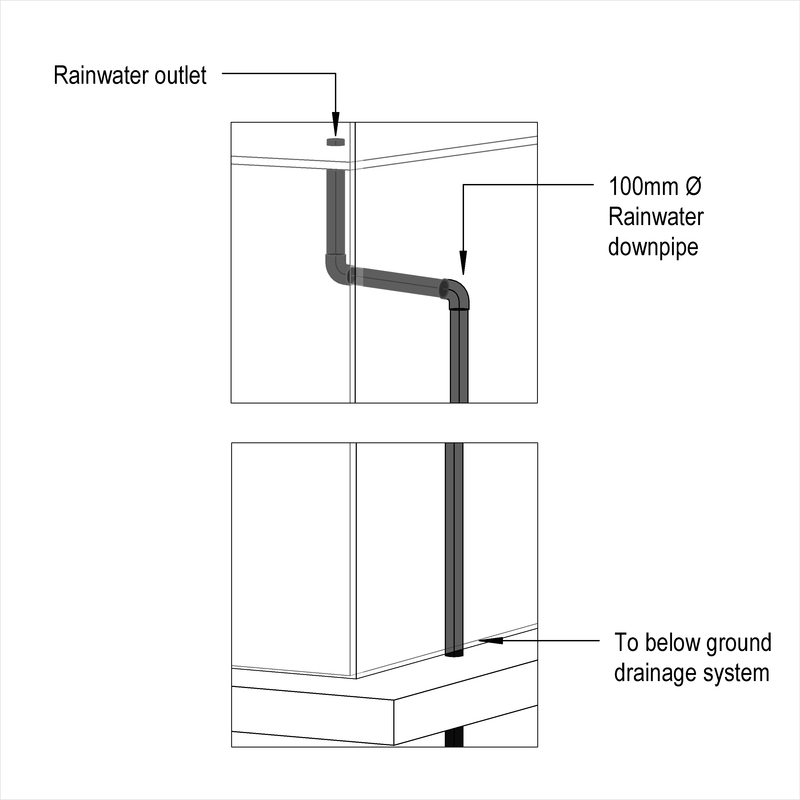 Internal rainwater pipework - Rainwater downpipes - Downpipe types Products such as Cast iron drainage pipe and fittings. 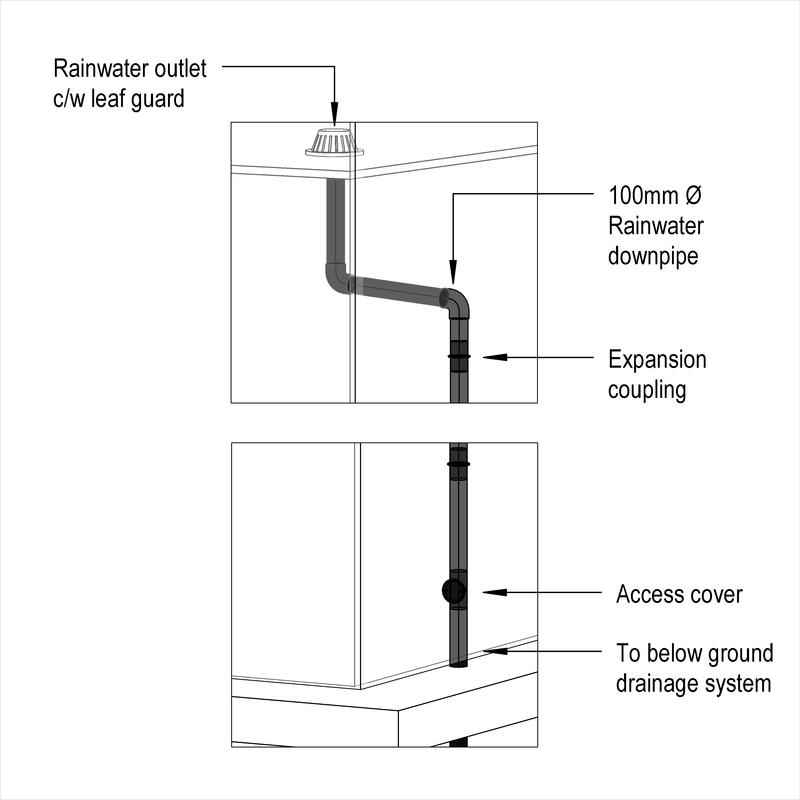 Internal rainwater pipework - Rainwater downpipes - Jointing Products such as Silicone construction joint sealants. 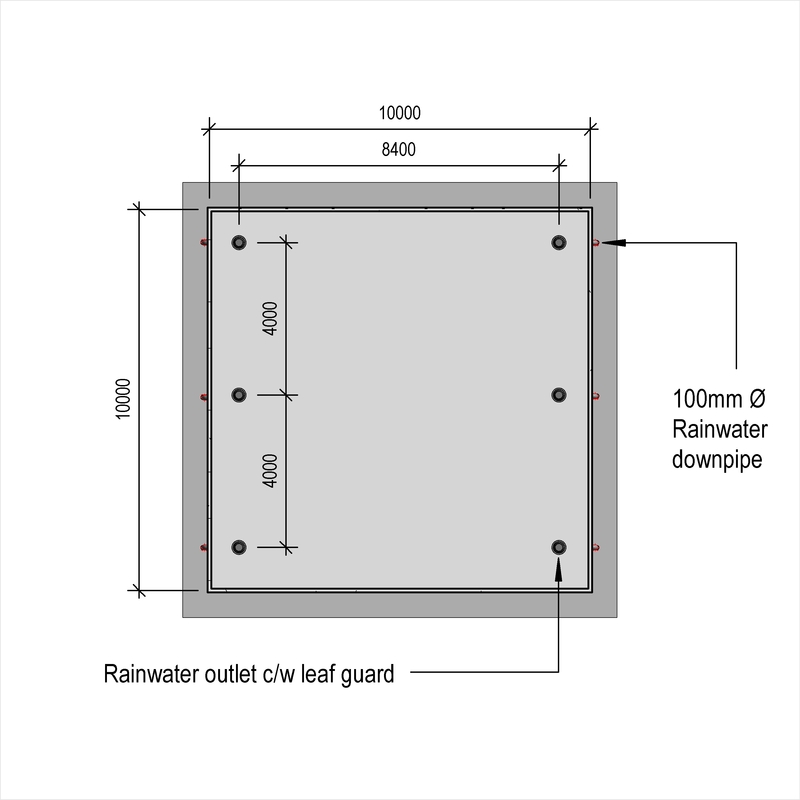 Internal rainwater pipework - Supports - Brackets and clips Products such as Above-ground drainage pipe brackets. Internal rainwater pipework - Supports - Fixings Products such as Carbon steel nails. Internal rainwater pipework - Insulation Products such as Mineral wool pipe section insulation. Internal rainwater pipework - Warning pipes The Internal rainwater pipework - Warning pipes of the Internal gravity rainwater drainage systems. System accessories Products such as Constant wattage trace heating cables.